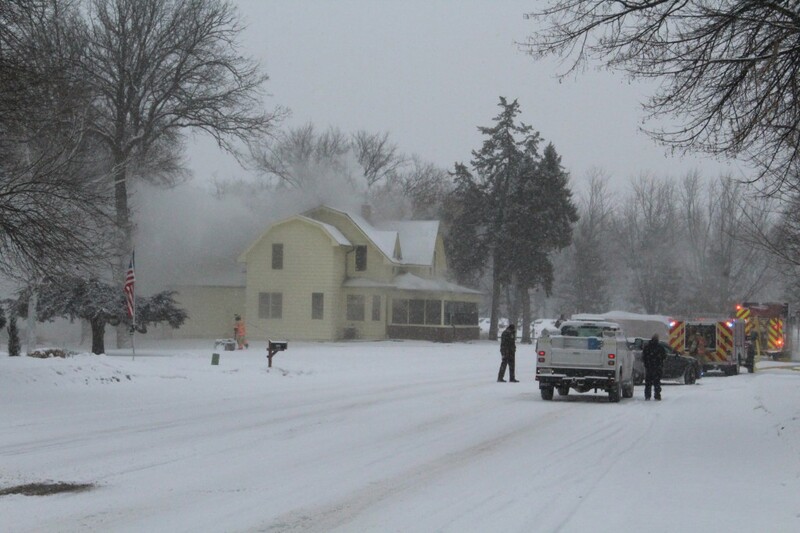 Firefighters from Delano, Montrose, and Watertown responded to a fire at 601 River St. N. in Delano after a report of smoke coming from the house at 10:45 a.m. Tuesday. The fire was knocked down within a half hour, according to an official with the Montrose Fire Department. A ladder truck from the Watertown Fire Department is on the scene as a precaution. The Wright County Sheriff’s Office and Ridgeview Ambulance are assisting at the scene. Thank you. We got it updated. The alert said 520, and we did not get close enough to the house to see the house number.